A shell and insulated liner jacket combine to provide a versatile garment that covers your needs in all seasons: wear the shell alone to repel precipitation, wear the liner jacket during fair, chilly weather or combine the two when temperatures drop and the snow flies! This system from UnderArmour is designed to handle it all. 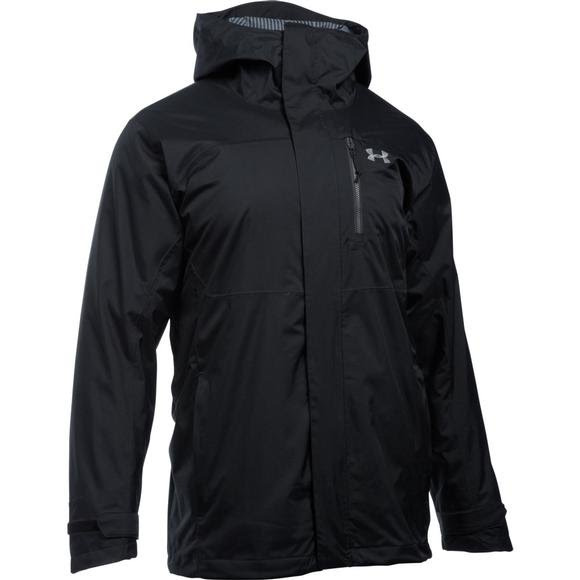 Under Armour&apos;s signature highly water resistant performance fabric that repels rain and snow for all weather activity. Adapts to any activity for non-stop comfort and total versatility.